The joy of parenthood is one of the most amazing feelings there is. From the moment a child is born, you already start thinking of their future and how you can help to make it great. On Children’s Day, parents and guardians show their kids just how much they care for them. While buying them the latest toys and gadgets sounds great, why not think further ahead and buy a gift they will treasure forever. No matter who your child grows up to be, understanding how to manage money will play a big role in their lives. Therefore, it is important you start showing them the ropes early on. Start by teaching them where money comes from, how to keep it safe and how to use it wisely. They will always remember how it feels to work towards a goal and how you helped them get there. As a parent, it is always wise to think about the future. Setting up an investment for your child is guaranteed to give them an edge in the future. 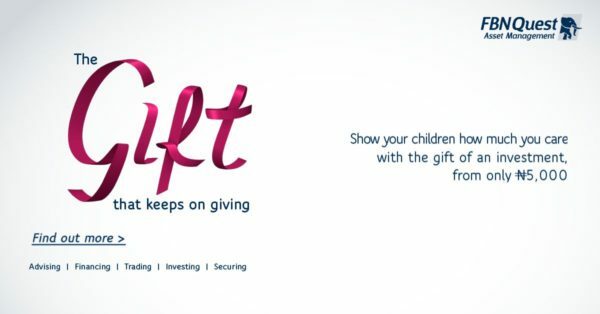 One great way to do this is by gifting them a mutual fund from FBNQuest Asset Management. Monthly contributions can make all the difference and open up a window of opportunity for your child when they need it most. Starting from as low as N5,000, you can start investing in the future of your child through an FBNQuest Mutual Fund. Get started here: Gift a Mutual Fund. 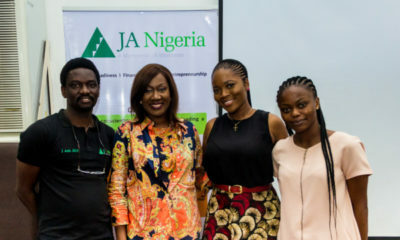 Oluwatosin Olaseinde: Do You Have an Emergency Fund?